Pollution levels in Delhi already on the upswing, the Supreme Court is expected to take a call today on whether the sale of firecrackers will be banned across the country. 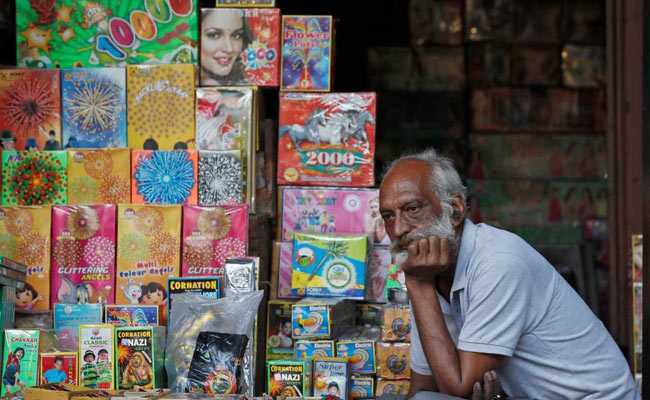 Buoyed by the ban on firecracker sale in the National Capital Region last year, a petition has called for the countrywide ban on manufacture, sale and possession of firecrackers, citing their ill effects on the environment and public health. The petitioners had sought a clean and healthy environment, contending that the right to breathe clean air is essential for growth and development. "Delhi has been the most polluted city in the world and health related illnesses primarily target the youngest of its citizens," the petition read. The Centre has opposed complete ban on sale of crackers during Diwali across the country. It has suggested that certain conditions could be imposed on the manufacture and sale of high-decibel firecrackers. Firecracker manufacturers have also contested the issue, pointing out that a ban will cost thousands their livelihood. Firecrackers alone, they said, could not be held as the sole reason for pollution during Diwali and an entire industry can't be shut down for this. The top court had earlier expressed concern over the growing respiratory problems among children due to air pollution. In 2016, it had banned the sale of firecrackers in the National Capital Region in response to a petition from three children. The post-Diwali air quality that year had been the worst in a decade, bringing for Delhi the tag of the most polluted city in the world. In September last year, the court had temporarily suspended the ban and allowed the sale of crackers for a while, saying a complete ban would be an "extreme step", and a "graded approach" was needed to tackle pollution. But in October, the ban was restored again.